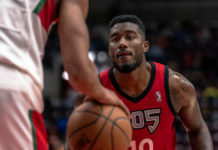 The Raptors 905 were unable to reel off their third consecutive win Thursday night as they fell short to the Maine Red Claws 80-69 at home, dropping their record to 12-5 on the season and losing their position atop the Central Division. 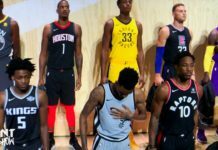 The contest marked the second consecutive game where the 905 were without the services of NBA assignments Fred VanVleet and Bruno Caboclo – both currently with parent club Toronto Raptors amidst their west coast swing. 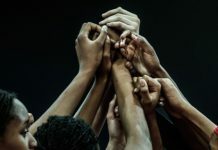 Points were few and far between for the home club Thursday night- a team that averages 104.9 points per game on the season – connecting on only 28/91 FG’s, good for 30.8%. The Red Claws were no better on the scoring end, either, shooting a putrid 38.6% from the field and turning the ball over 19 times (allowing 16 pts off turnovers) while doing so. 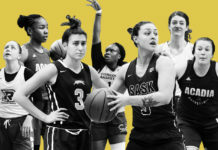 But it was defensively where Maine was able to clamp down and manufacture stops effectively, particularly in the third and fourth quarters where they were able to limit the 905 to just 25 second half points. 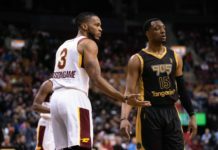 Though the 905’s depth chart, particularly at the point guard position, was somewhat hindered due to VanVleet’s absence, coach Jerry Stackhouse maintained allegiance to playing Axel Toupane in spurts at the one, and the Frenchman showed flashes of competence en route to his 11 points and four assists in the loss (he had nine assists in Tuesday’s win over the 87ers). 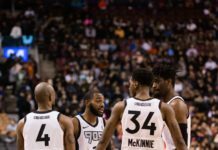 “I thought defensively we did some good things, they were shooting at almost 47% at the half and we got them all the way down to 38% for the game,” said Stackhouse following his team’s 11-point loss to the Red Claws Thursday night. “We were shooting 38% and wound up at 32% or 30% to end the game, you’re not going to beat anybody shooting 30% for the game no matter how good your defensive effort is, but, you know, it was one of those nights. You hate to have one of those games at home, you want to leave those for the road if you’re going to have them. Hopefully they’re few and far between,” mentioned Stackhouse on the 905’s offensive deficiencies in the loss. Cape Verde big man Edy Tavares was able to get his offence going early against Maine, amassing 12 points and six rebounds at the half and finishing the night with an impressive 15 points and 11 rebounds. But it was on the defensive end where the 7’3 centre displayed his true worth, blocking 5 shots, changing the direction of many more and ultimately anchoring the 905 defence all night against the Red Claws, albeit in a losing effort. The usually consistent Brady Heslip had one of his tougher games in the loss, finishing the night with 13 points on just 5/15 shooting and 3/11 from long range. For the Red Claws Jordan Mickey poured in a game-high 20 points to go along with seven rebounds, while backcourt mate Marcus Georges-Hunt chipped in with 16 points, including four three-pointers in his 40 minutes of action. 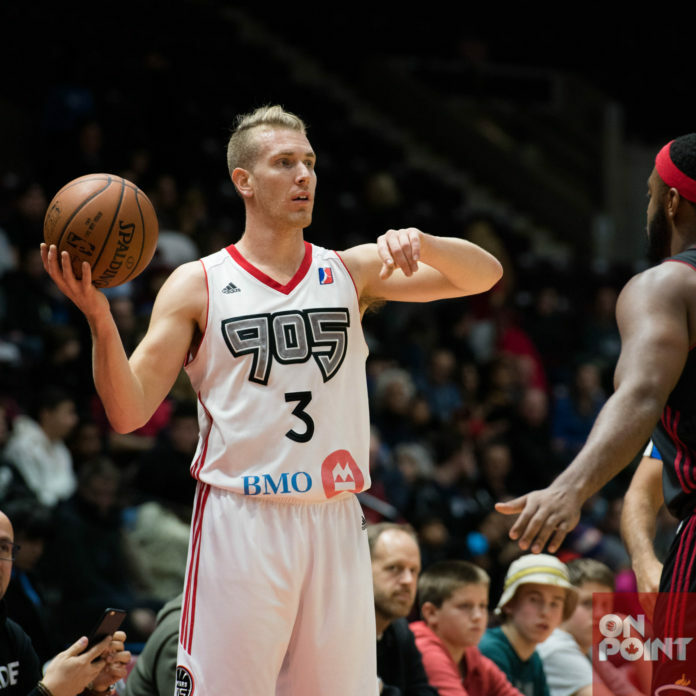 The 905 will open up the new year on January 2nd against the Erie Bayhawks. Thursday night was also a homecoming for Canadians Scott Morrison (Head Coach), Patrick Tatham (Assistant Coach) and Oregon alum Jason Calliste (Guard), as they were supported by family and friends at the Hershey Centre. Tatham – now a lead assistant for Head Coach Morrison with the Maine Red Claws – was named OUA Coach of the Year and became the first Ryerson coach to claim the Aberdeen Trophy for CIS Coach of the Year in the 2015-2016 season. 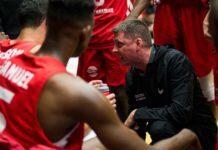 Morrison is well aware of the strides that Canada Basketball has made, and continues to make, nationwide, and to have a couple of Canadians alongside for the ride only enriches his experience as head coach. “Jason, same thing, he’s coming off an injury. He didn’t get much opportunity to play tonight but he brings a real toughness to our line up. 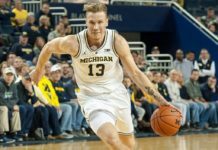 He’s a good shooter, a good defender and comes to play and competes every night,” he added. “We take pride in where we come from and kind of gang up on the Americans every chance we get,” laughed the Prince Edward Island native. 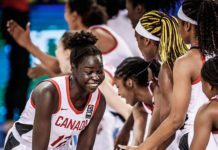 Morrison understands that Canada Basketball is just scratching the surface of what’s expected to be much bigger in years to come. 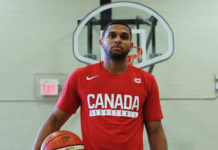 Anytime he sees Canadians doing well – whether the NBA, NCAA, overseas and so on– he can’t help but think about how far the game of hoops has come over the past decade or so. 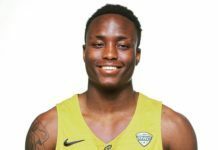 Scarborough native Jason Calliste self-anointed himself as “one of the older guys” in the context of Canadian basketball players, though he’s hardly a senior citizen at the tender age of 26. 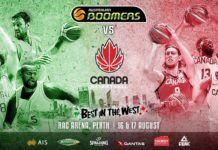 Like many other Canadian influences nestled in the basketball sphere, Calliste is cognizant of the growth of basketball in the North, and he knows it will only get better as the years go by.